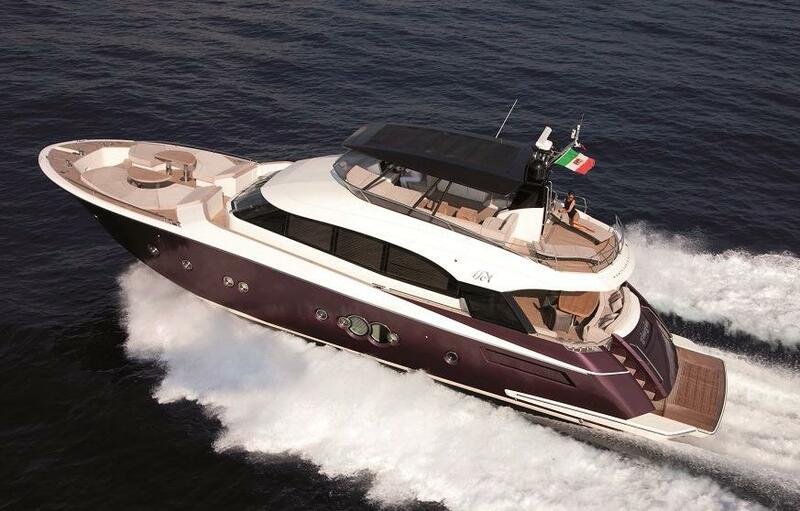 MONTE CARLO YACHTS 76, 2011/12, luxury Italian Motor Yacht, all GRP with teak decks, lifting bathing platform, and Carbon T-Top. 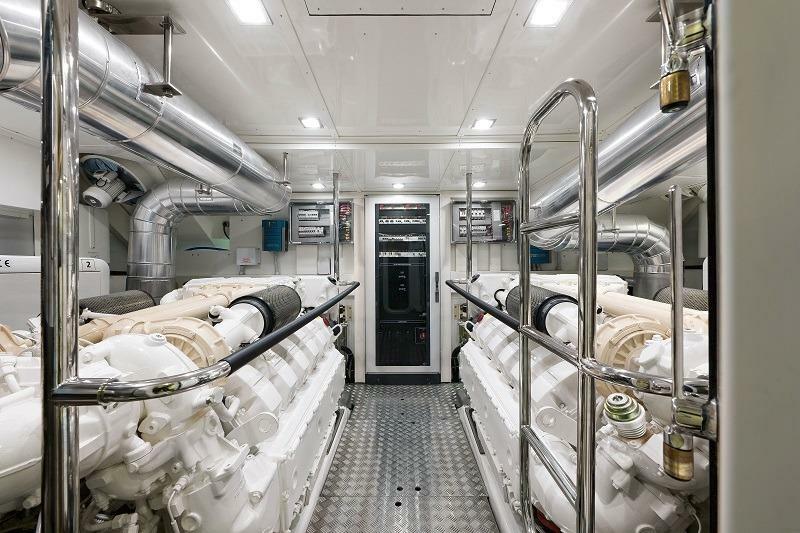 Twin MAN V12 1400 diesel engines (low hours), air conditioning throughout, 2 x generators. 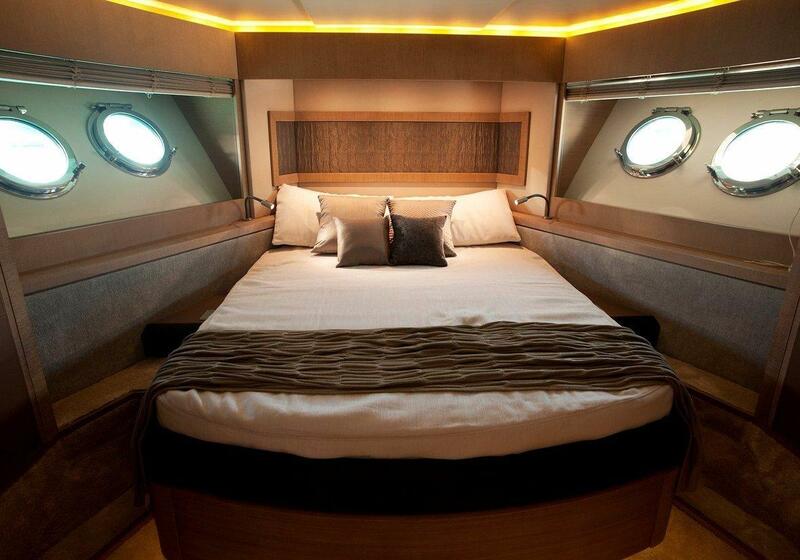 Sleeps 8 guests in 4 cabins, all en-suite, plus crew accommodation for 2 people. 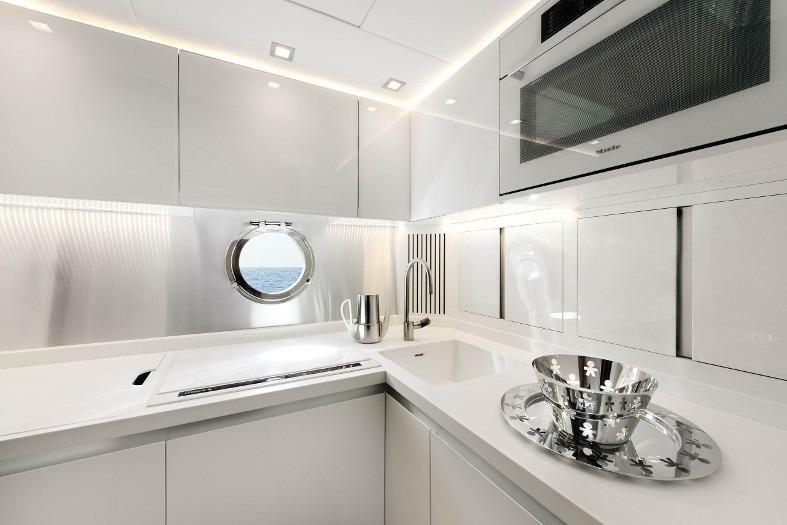 Galley downstairs layout. 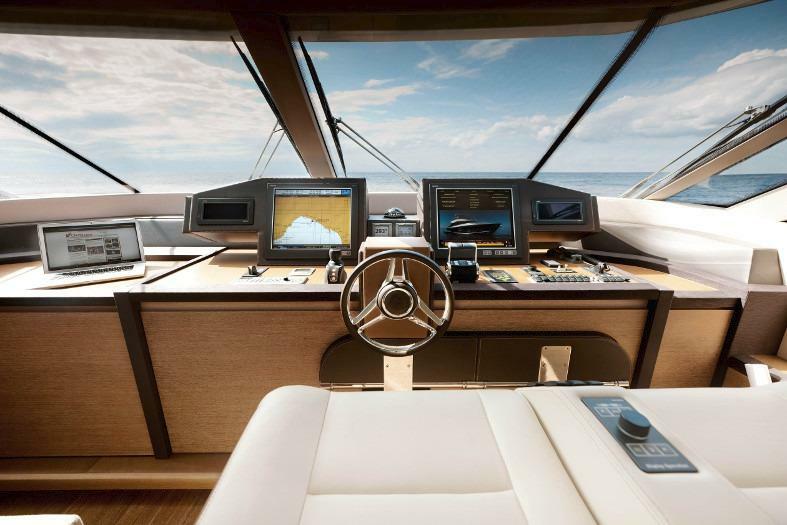 Features Raymarine navigation equipment including 2 Boning screens, full domestic equipment, safety gear, electro-hydarulic passarelle, Portuguese bridge with spacious exterior bow lounge. One owner from new. 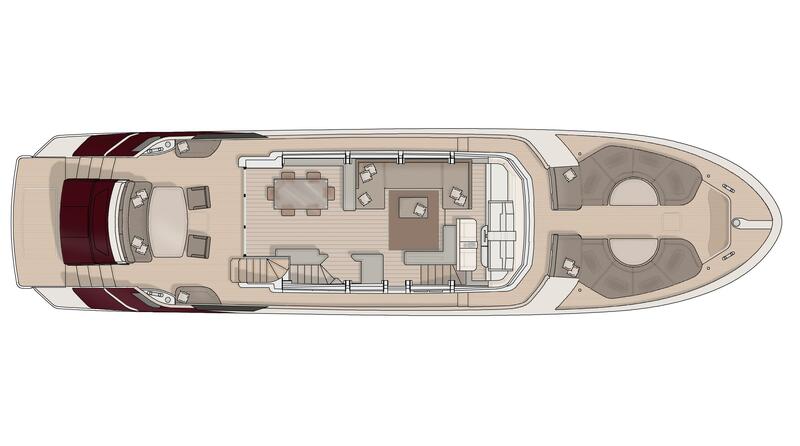 All GRP (planning hull) with teak decks, cockpit, bathing platform and flybridge. Up/down lifting bathing platform, upgraded to 800kg gross lifting capacity. Cradle for tender on bathing platform. 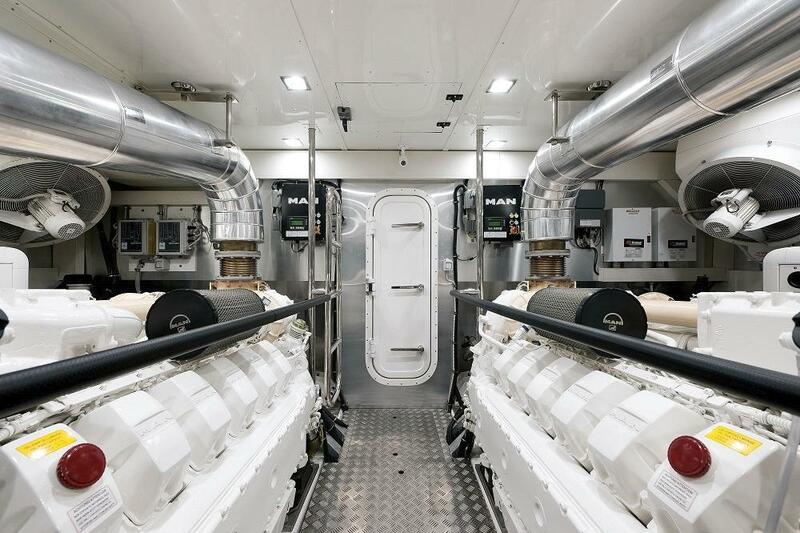 Aft access to engine room and crew quarters. Additional deck cleats on aft deck. 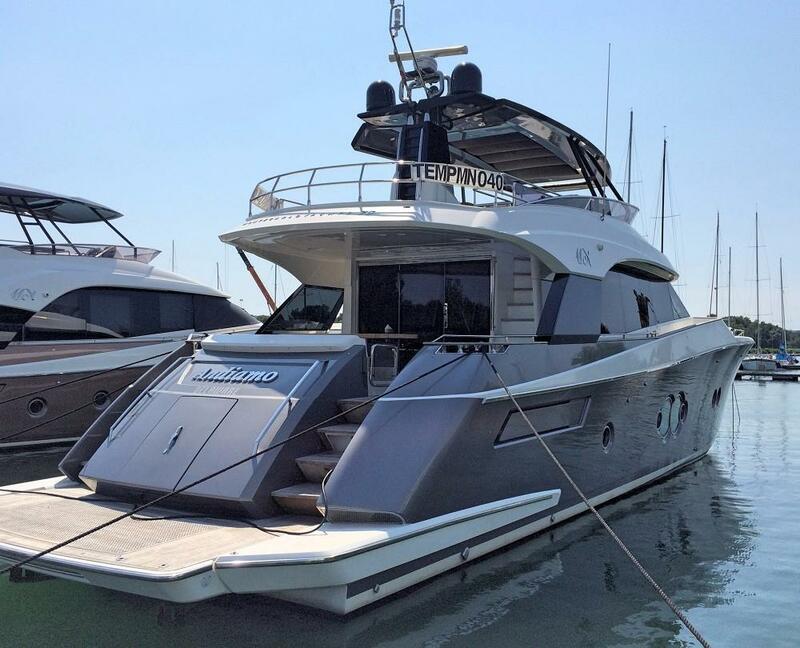 Carbon Fibre T-Top on flybridge with soft sliding top. 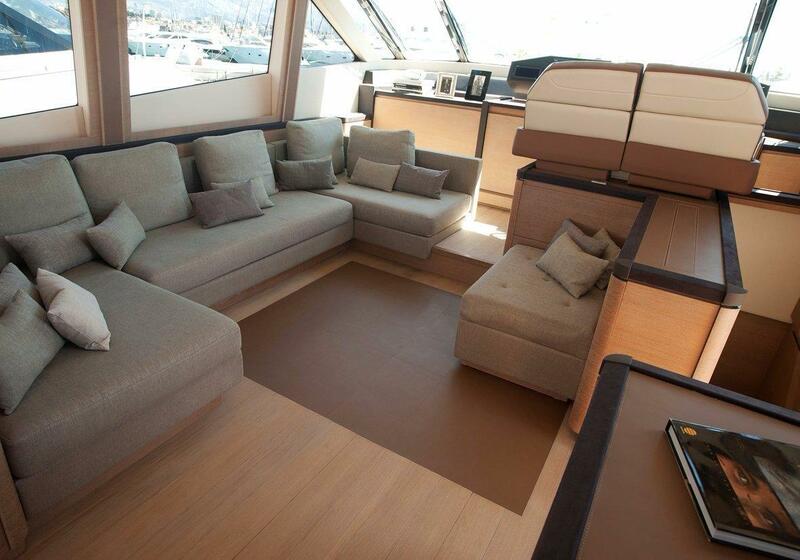 Wood floor on main deck saloon. 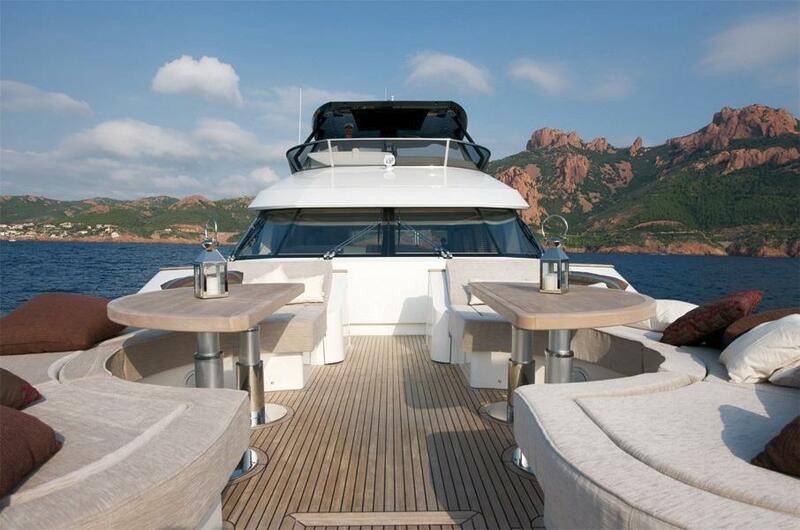 Convertible beds in port and starboard guest cabins, with sliding system to obtain a Queen-size bed. Front cockpit layout with full Portuguese bridge. Twin MAN V12 1400 V-Drive diesel engines. Engine hours of approximately 430 at 01/17. 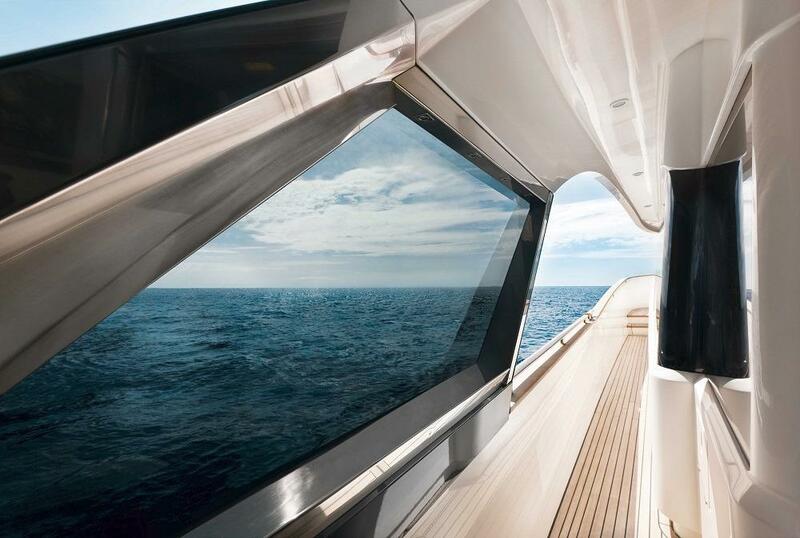 Cruising at approximately 24 knots depending on water temperature and conditions. Humphree interceptors with ATOS (automatic trim). Engine and generators oil change system. Double Racor filters for engines. Sleeps 8 in 4 double cabins, plus crew cabin for 2 people. 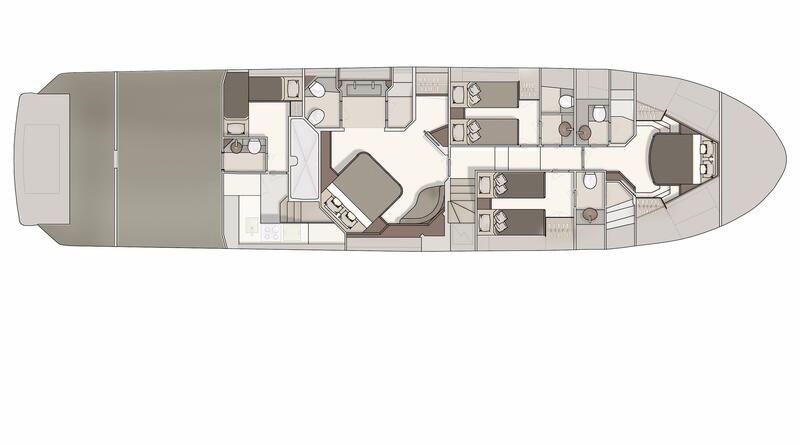 Very spacious master cabin mid ship, full beam with diagonal King size bed (storage under), night lights, settee with storage, 2 bed side tables, electric venetian blinds in Microfibre and carpet. 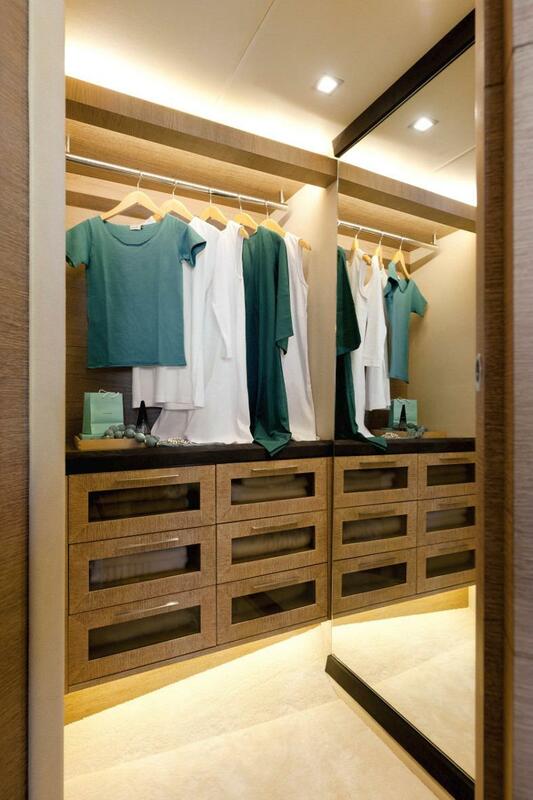 Walk-in wardrobe with handing bar, mirror, drawer storage and carpet. Sliding door to en-suite bathroom with Tecma electric WC and bidet, hand basin, various storage areas, floor and cabinet tops in Italian stone. Shower compartment with mosaic tiles, shower column shower head and hydro-massage shower column. 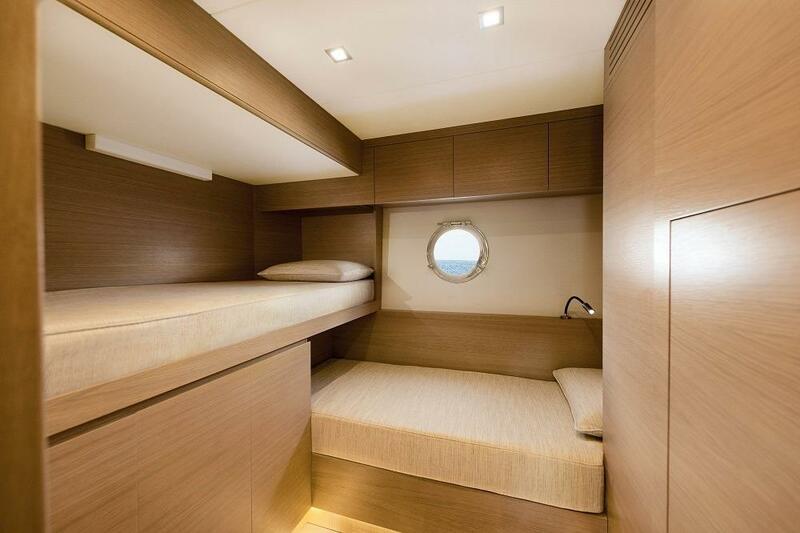 Port and starboard guest cabins with twin berths (can convert to Queensize), central bed side table, wardrobe, venetian blinds in Microfibre and carpet. 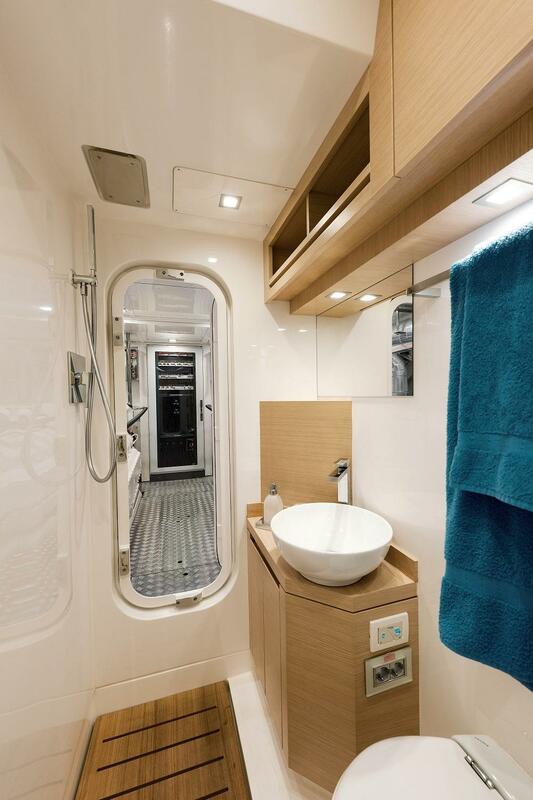 Port bathroom (also can be used as dayheads) with Tecma electric WC, sink, mirror, storage, thermostatic taps in shower, Italian stone floor and cabinet top, shower compartment with central rain shower head. VIP cabin forward central double bed (with storage under), 2 bedside tables, wardrobe and other storage, venetian blinds in Microfibre, carpet. 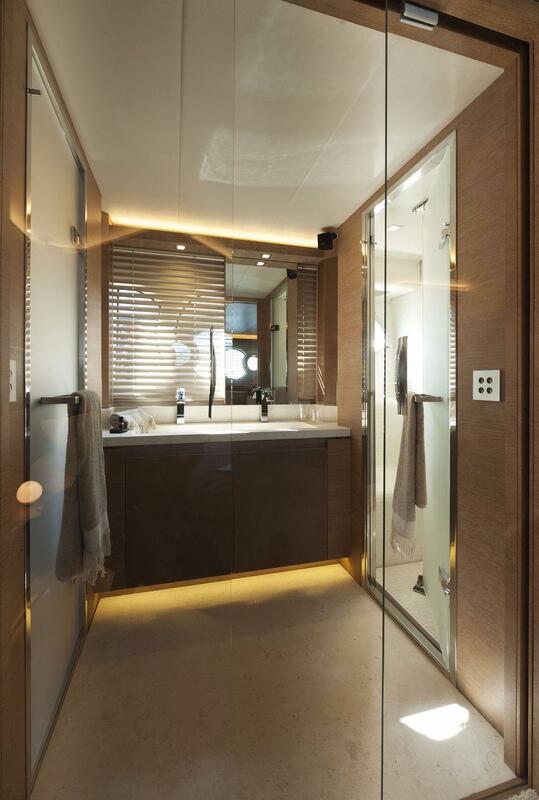 En-suite with electric Tecma WC, hand basin, mirror, cabinet top and floor in Italian Stone, thermostatic taps. Shower compartment with mosaic tiles, shower column with central rain shower head and hydro-massage, venetian blinds. 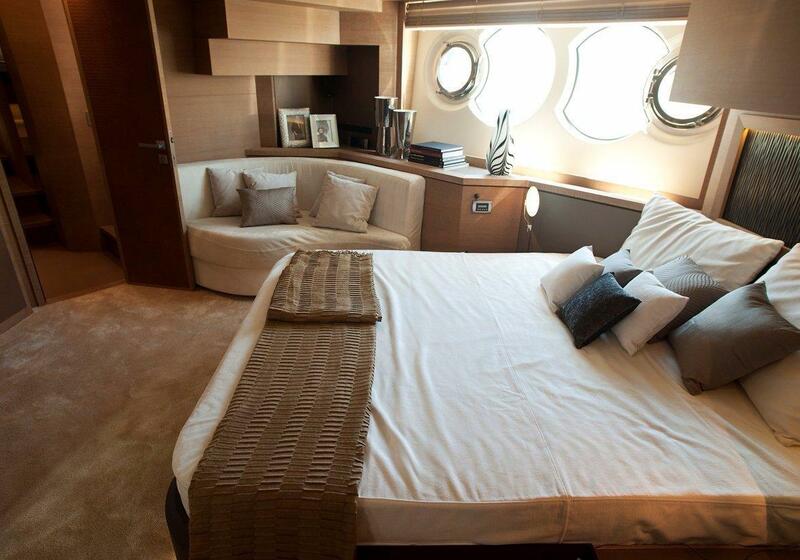 Alcantara headlining except in crew galley area. 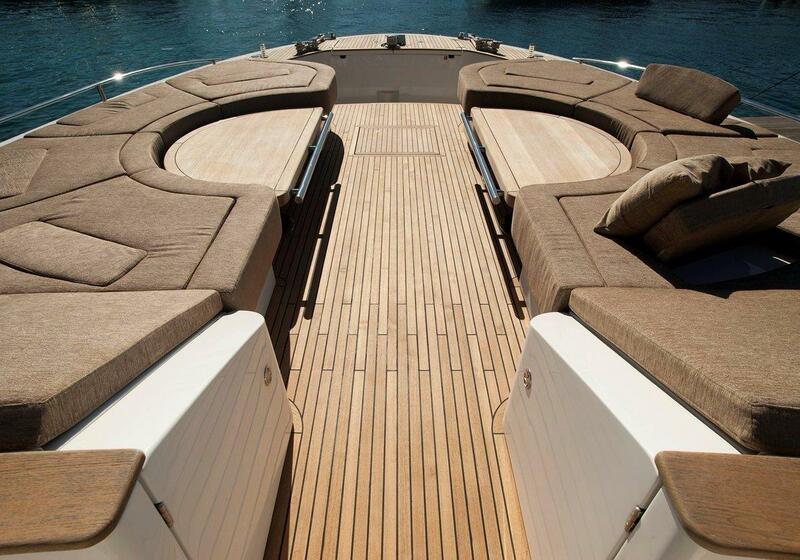 Beige fabric upholstery in the saloon. 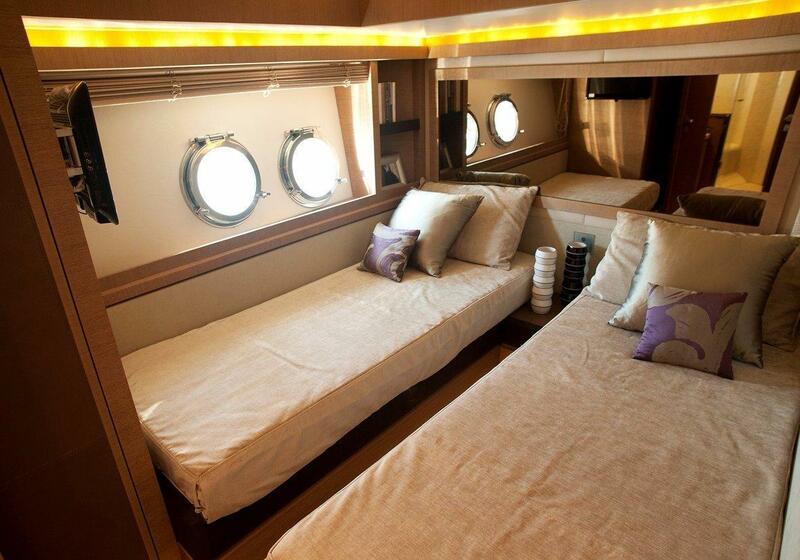 Crew cabin aft with upper/lower staggered single berths, wardrobe, various storage areas. 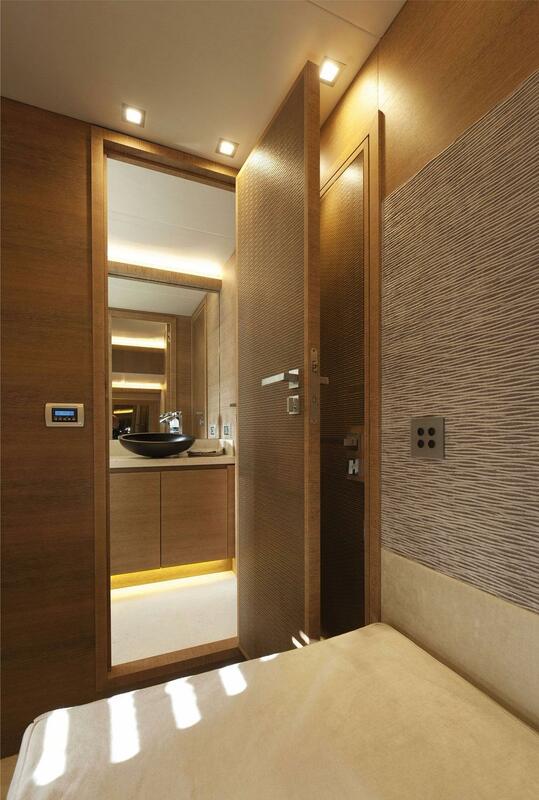 Crew bathroom with electric Tecma WC, hand basin, mirror, storage, shower. Watertight door to engine room. Aft access to engine room and through to bathing platform. 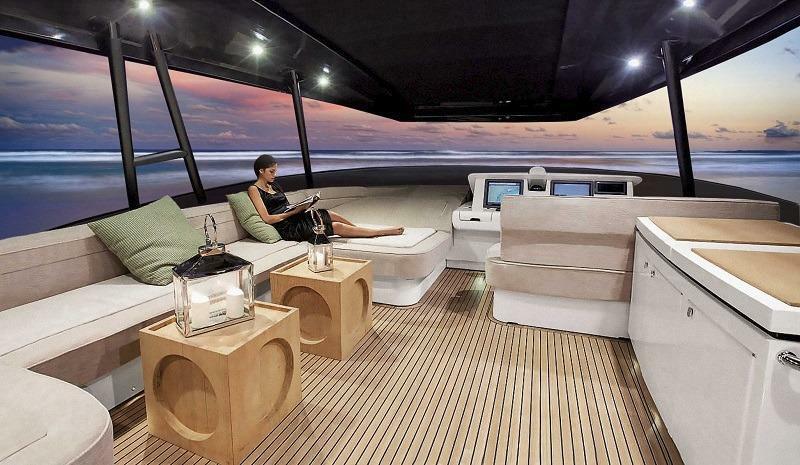 Crew galley. 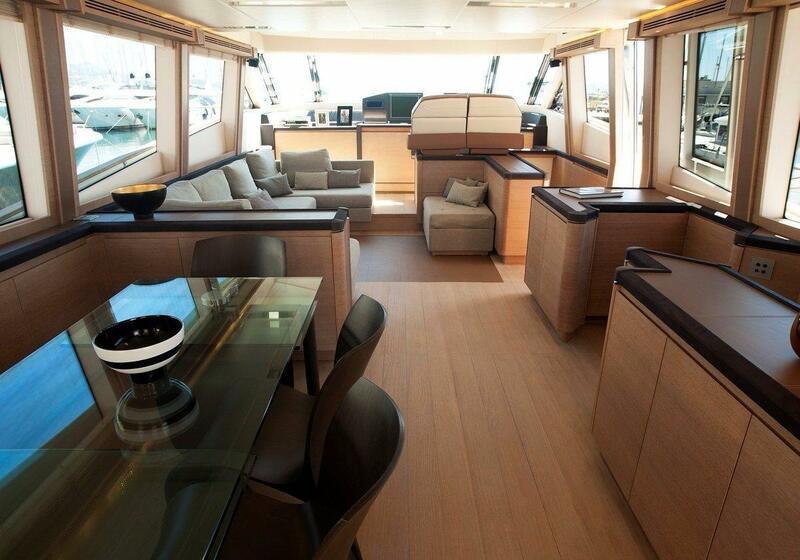 Light and airy saloon with casual seating around low table to port, upper galley aft to port. Storage cabinets and staircase to lower deck to starboard. 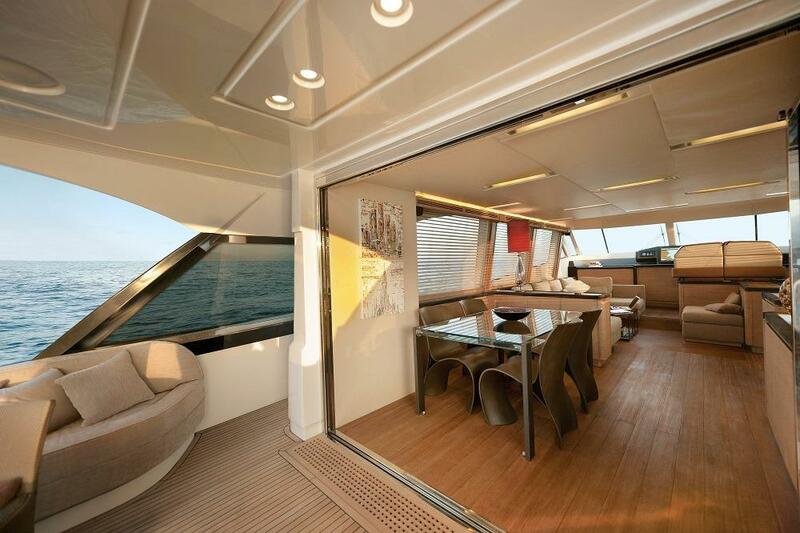 Huge sliding doors to large covered aft deck, with built in seating, table and loose armchairs. Steps down to bathing platform and garage. 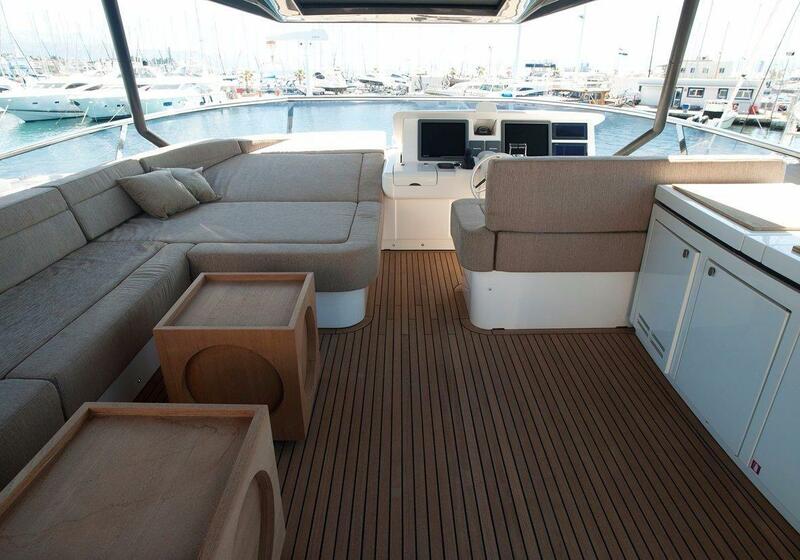 Side decks lead to forward seating area with 2 seating areas with tables. 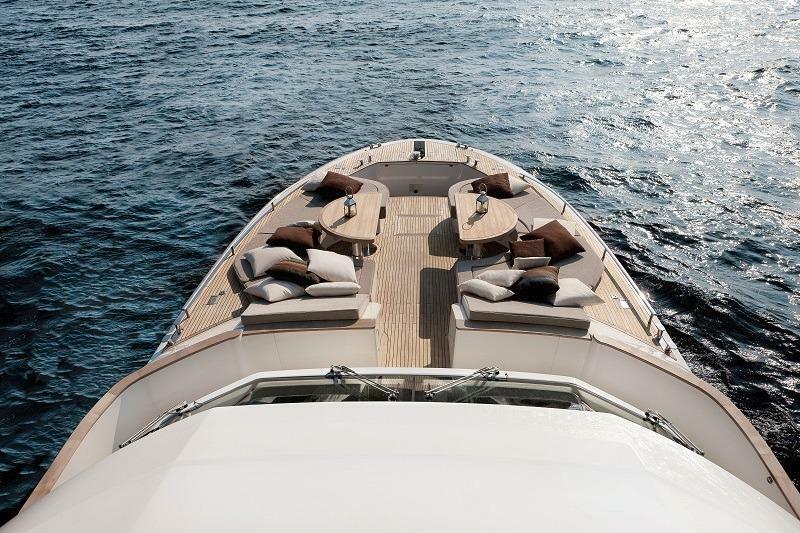 Teak steps up to large flybridge with helm, C-shape seating with integrated chaise longue, storage under, adjustable tables, a sunbathing aft platform (covers aft deck), wet bar with sink, fridge, icemaker, grill and storage. 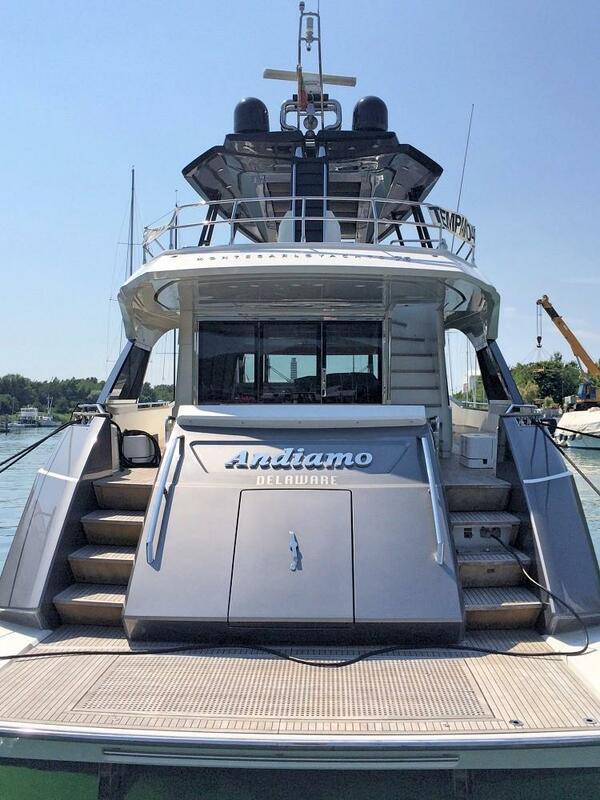 T-Top with opening sliding centre, GRP radar mast in black with aluminium wings supporting navigation lights, antennas, horn and lightening protection. One owner from new, only for sale as owner traded up. August 2011 production, 2012 model. In this case we are acting as brokers only. The Vendor is not selling in the course of a business. Whilst every care has been taken in their preparation, the correctness of these particulars is not guaranteed. The particulars are intended only as a guide and they do not constitute a term of any contract. A prospective buyer is strongly advised to check the particulars and where appropriate at his own expense to employ a qualified Marine Surveyor to carry out a survey and / or to have an engine trial conducted, which if carried out by us shall not imply any liability for such engine on our part. 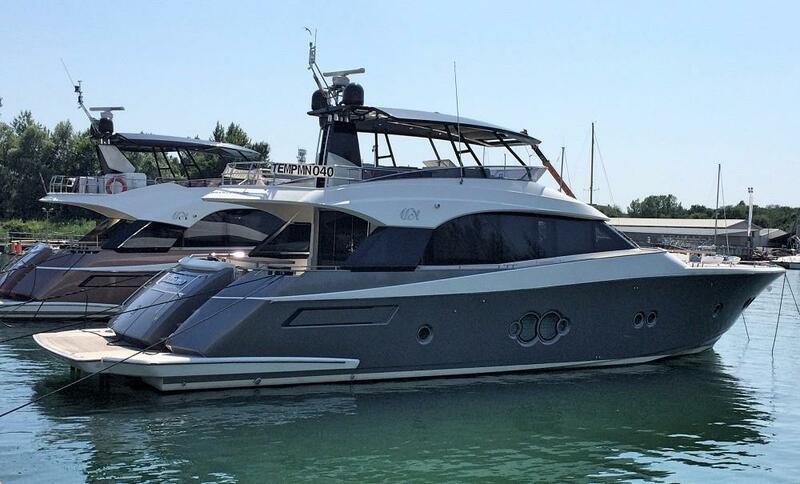 Note to seller and purchaser: If the boat you are selling or purchasing is registered, please ensure that the registration is completed after the sale of the boat. If the purchaser wishes to cancel the registration is the duty of the seller to contact the Registry and inform them that the registration is to be cancelled. If the purchaser wishes to continue with the registration, it is the duty of the purchaser to complete the relevant forms and post off the bill of sale to the Registrar. 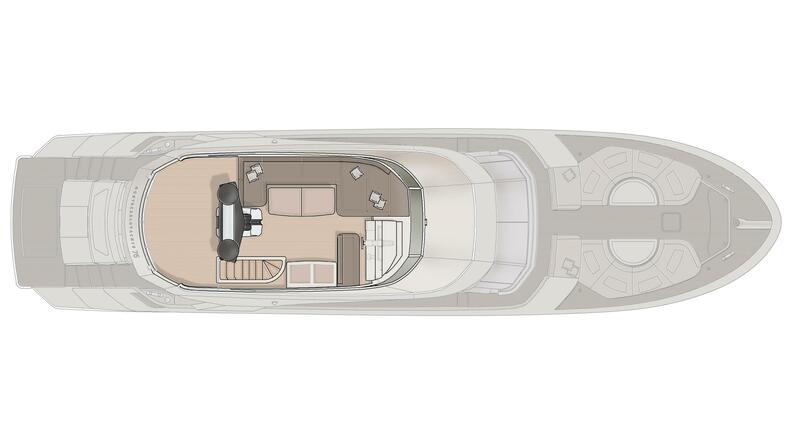 Download the quick and full specifications for this boat in PDF format on the left. Please note that the PDF will open in a new window and will take a short time to download. The version including all boat pictures will take longer. 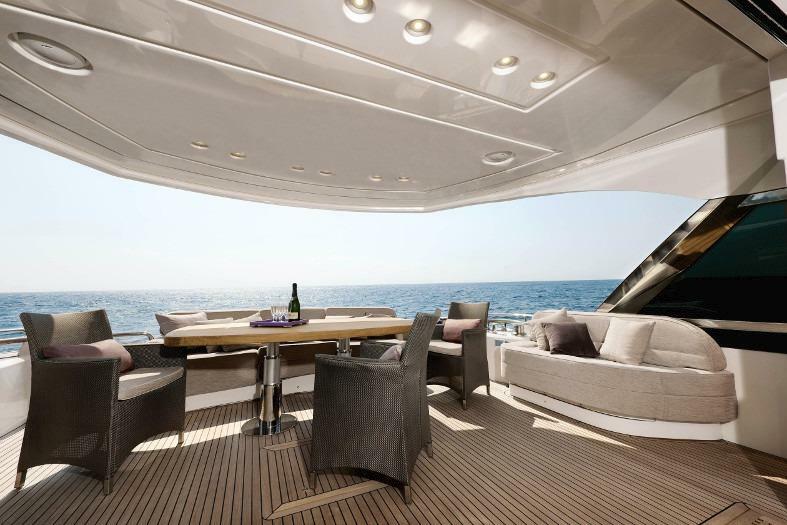 If you would like more information about this Monte Carlo Yachts MCY 76, please get in touch using the contact details below, or alternatively by using the contact form on the right. Search over 1,000 boats at our sites in the UK and across the Mediterranean.